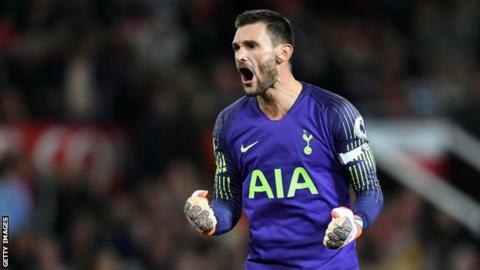 Tottenham goalkeeper Hugo Lloris will be out for “several weeks” with a thigh injury, but will retain the captaincy after his drink-drive conviction. The 31-year-old missed Spurs’ Premier League game at Watford on 2 September and both of France’s matches during the international break. On Wednesday, he was fined £50,000 and banned from driving for 20 months after admitting drink-driving. “He said he is sorry and accepts his mistake,” said Mauricio Pochettino. “He is the first to regret about everything and all that happened is not good. He doesn’t feel great. Spurs midfielder Dele Alli will also miss Saturday’s game against Liverpool after injuring a hamstring. “Alli is a bit unlucky, he suffered a small injury after 20 minutes against Spain,” Pochettino told Sky Sports. Tottenham are fifth in the Premier League after they lost 2-1 to Watford, while Liverpool are top, having won all four games.